Launching your new online store in todays internet driven society is the relatively easy bit. Getting traffic, engaging with your customers and getting sales is the hard bit. It can sometimes feel like an uphill struggle. Although peoples buying habits and social media use are changing rapidly you have to constantly change the way you reach out to your audience. This is our first steps SEO guide, the must haves to get your company getting traffic and being found online. This provides you with a wealth of information such as daily/monthly site visitors, pages viewed, visitor locations, keywords or sites that people used to land on your site. A monthly report can also be provided by us if we set this up for you. Read more about why Google Analytics is important. This is a great tools for checking site health, crawl errors, submitting pages to be indexed early by google, and updating general SEO data such as sitemaps. Read more about why Webmaster tools are important for SEO. This is a great way to get listed on google search and google maps. Simple and easy to set up here: https://www.google.com/business/ and allows your customers to leave real reviews and details about your company. Onsite SEO is the corner stone for your website optimisation and requires a simple approach of ensuring google can read and understand your content easily so that it can serve it as a search result to a relevant person looking for particular information. The most effective way of achieving this is by ensuring that every sales or information page on the website has a considered Meta tags, Title, Descriptions and matching keywords to direct people to that content, along with ensuring the site as a whole has the correct information set up. Although the site content itself will index and be searchable over time this Meta information is important to secure considered pathways to your content via search results. Go through every page on your website and ensure the Title, description and meta tag information for the site is filled in with information relevant to the page being viewed. You can also read through each website page content and make recommendations for textual or copy changes to further enhance the website. A good blog or education centre is a fundamental part of a website. It can increase organic traffic (people searching google) and enhance your link placement in search results for new and relevant content. I would recommend adding informative to your blog to educate your customers. Leave them feeling they have learnt something new and show them and your peers that you are industry experts. Provide breakdowns of procedures, talk about new technology, give in-depth reviews of particular machinery or processes, stock types for better printing etc etc.. Share this content on your social media accounts too. We use a fantastic tool called Mailchimp that allows you to send email campaigns to a large amount of customers, track the results and see who to engage with or contact. Mailchimp is free for the first 2000 contacts. You can add a newsletter signup form on your website offering exclusive offers and discounts or access to limited edition products for instance to make it worth their while signing up. This customer list can then be used periodically to send very targeted emails, offers, discounts and sales events to boost traffic and sales. If you are unsure how to do this we can help you up your account, import any existing contact lists, link it to your website and create your first email campaign as a responsive, branded email design. We can talk you through launching it and analysing the statistics along with some training to go through additional campaigns in house. In brief this is the strategy of getting links from other relevant industry websites back to yours. This might be in the form of a press release with a link back to your site or advertising through online platforms. The most beneficial links are permanent ones through press release or educational articles written for industry magazines and directories. Most links may need to paid for through the company you are targeting to host the links and can cost between £30.00 and £200.00 (sometimes more ) dependant on how high profile and relevant the website is. Also consider the use of outbound links to authoritative websites as these can play a major role in your sites search engine optimisation. There was a google algorithm update in 2003 called Hilltop which essentially tells google if the page that you are linking from is an informative resource for your audience. If google thinks that the your website page is a hub of information based on things such as the relevancy and quality of outbound links, your website can be established as a page of helpful content in the views of Google. Although we discuss email campaigns above, nearly every company is employing these in some form so going back to more traditional forms of advertising still has its benefits. Creation of great literature to support your brand and marketing is hugely important. Building a targeted contact list or offers and company introductions through direct mail can achieve good results if considered properly. If you're in retail why not send birthday cards, anniversary or christmas cards. Make it personal, make them remember it and make them tell their friends. We are great designers and can create compelling assets to help you leave a lasting impression with your customers, either via mail or direct contact. Business cards, leaflets, posters, signs and banners for displays and exhibitions are key to help build and promote your brand image. As mentioned above it is important to build regular blog writing into your company marketing. This is a long term game and over time you will house a range of great articles that will continue to target organic search results and drive traffic to your website without any spend on advertising. For example we built http://www.jewellerymonthly.com/ back in 2015 and with it's current articles in place enjoys over 20,000 visitors per month with £Zero spend on advertising. It isn't good enough though to create content for contents sake. 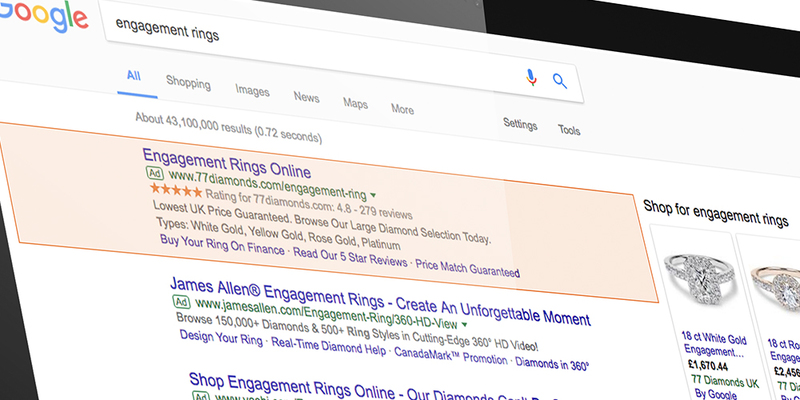 Good quality, curated information, relevant to your products and services is vital to ensure it is searched for and found in search engines. Video is fast becoming the tool of choice to introduce and sell a companies products or services. It's far reaching and allows it to be displayed and shared on social media, websites, internal TV Screens and exhibitions. It engages and attracts more people and can highlight some of your companies important assets and message quicker and more effectively that print or text. We just finished a corporate video for C&T Matrix highlighting their new product launch http://www.lionsorbet.com/#/ct-kingpin-an-introduction/ which features onsite film plus some 3D animation. Video is a great eye catching tools you should consider employing into your marketing strategy as soon as possible. We feel the steps above are straight forward and can be completed in house with ease. However we understand that not everyone has the time to fit into their schedule. If you want help or further advice please call us on the number below or email us anytime.